This impressive tree stands ninety-four feet tall and sixteen feet in circumference, with a crown spread of 165 feet. It was planted in 1864 from a sprout along nearby Daddy’s Creek near the Thomas Center home site. Center became the first superintendent of schools for Cumberland County, his thirteen children perhaps helping him earn the job. The tree is located near the old Walton Road, which ran from Crab Orchard north of Crossville toward Standing Stone. The road was started in 1795 and completed in 1802. Several famous people traveled the road, including Duke Louis Philippe, later King of France. Center’s home, built around 1859, became a frequent stopping spot for travelers headed to Nashville and westward. In 1986 the house was nominated for the National Register of Historical Homes. The original stables, along with several horses, were lost in a fire in 1985. 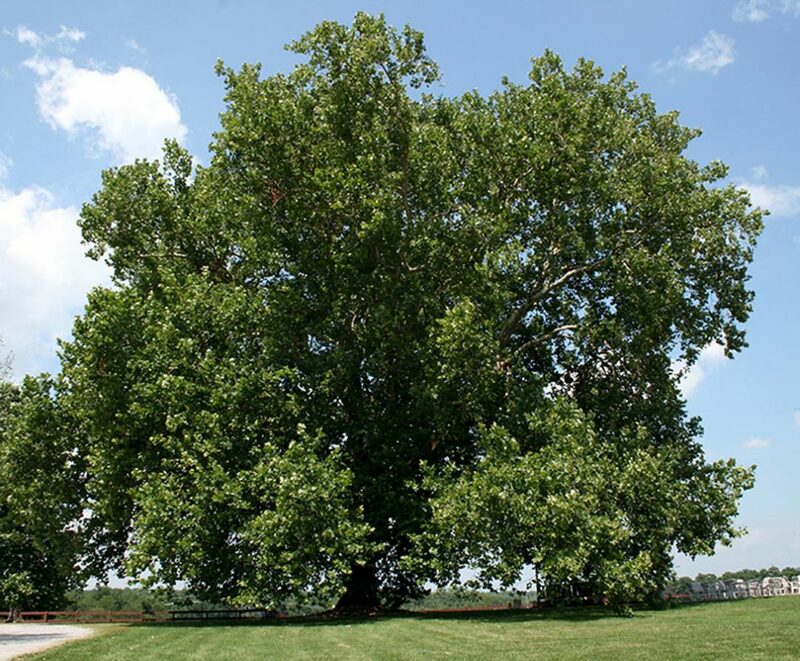 Today the sycamore forms the landscape for the Wildwood Horse Stables in the Fairfield Glades Resort, subject for numerous artists, photographers, and tourists. Newlyweds pledge their eternal love under the tree, and school children have their class picture taken there.